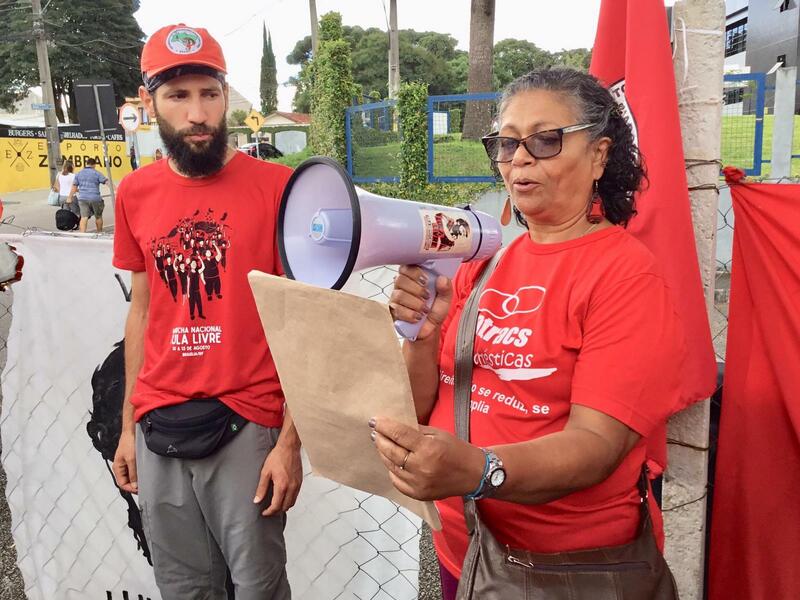 "Reaffirming our commitment to solidarity with your struggle, the struggle of the Brazilian people, and particularly with our domestic workers comrades, we send this message of strength and solidarity to remind you that neither you nor the working people of Brazil are alone." IDWF on behalf of our more than 600,000 affiliates around the world and on behalf of the 98,000 affiliated domestic workers in Latin America we send you this letter as a gesture of our unconditional solidarity with you, with the working people of Brazil and with your political project that significantly improved the lives of millions of Brazilian workers. 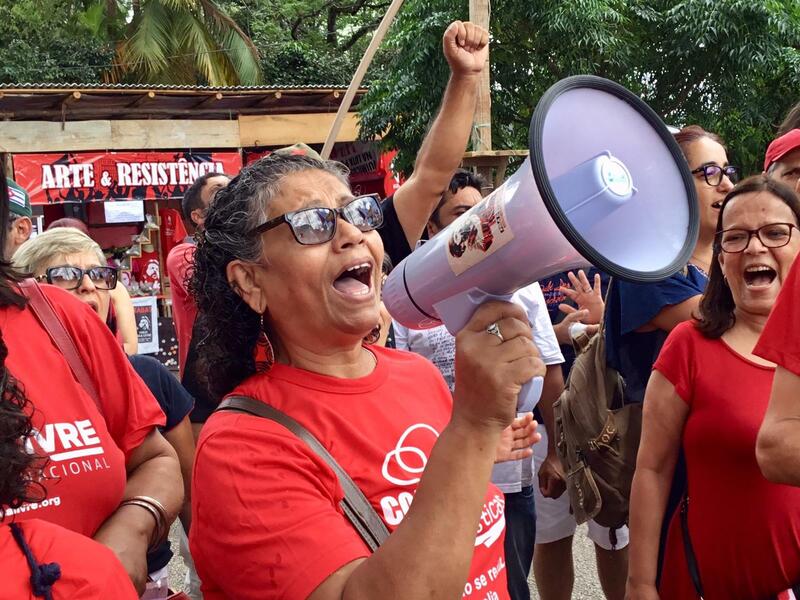 We know well about the victories and the advancement of domestic workers’ rights in Brazil such as the Domestic Workers Law 150 and social protections achieved during your government administration and the government of compañera Dilma Rousseff. 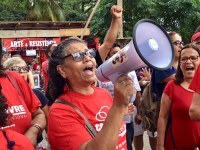 The struggle for expansion and deepening of human rights and labor protections for our sector, as you might know well, it is a very long and difficult road due to the intersection of oppressions of gender, race and class that we must endure. Yet this has never an impediment to us neither a reason to give up in our struggle. Together we have achieved unthinkable victories, including the creation of our global federation and the ILO Convention C189 on Decent Work for Domestic Workers. 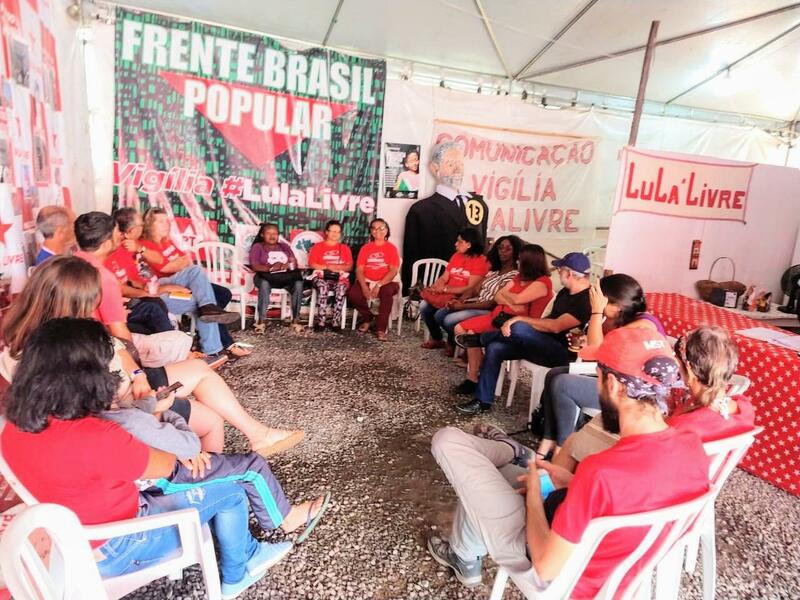 Sensible governments with a strong commitment to social justice along with visionary leaders committed to fight social inequalities, like you are compañero Lula, are considered our friends and part of our global domestic workers’ family. IDWF, like the rest of the world, is aware of the tremendous injustice that today keeps you in jail due to a judicial process that is a fabricated farce and politically manipulated to allow the reemergence of neoliberal and anti-popular policies. We know these policies are aimed to facilitate the plunder of natural resources, labor exploitation and environmental destruction that cause the impoverishment of the working class and deepen the inequality gap. 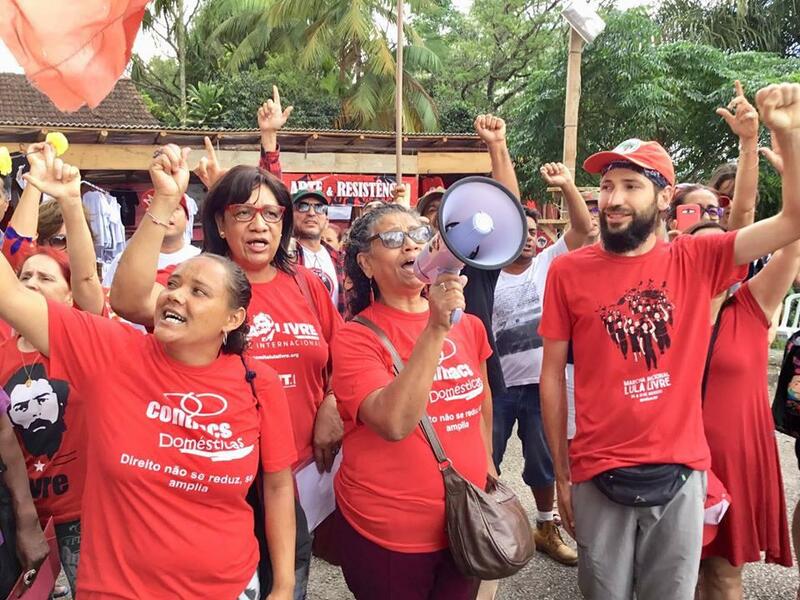 The IDWF congress releases a statement to the Brazilian government to express our deepest concern and to demand for respect of human and trade union rights. 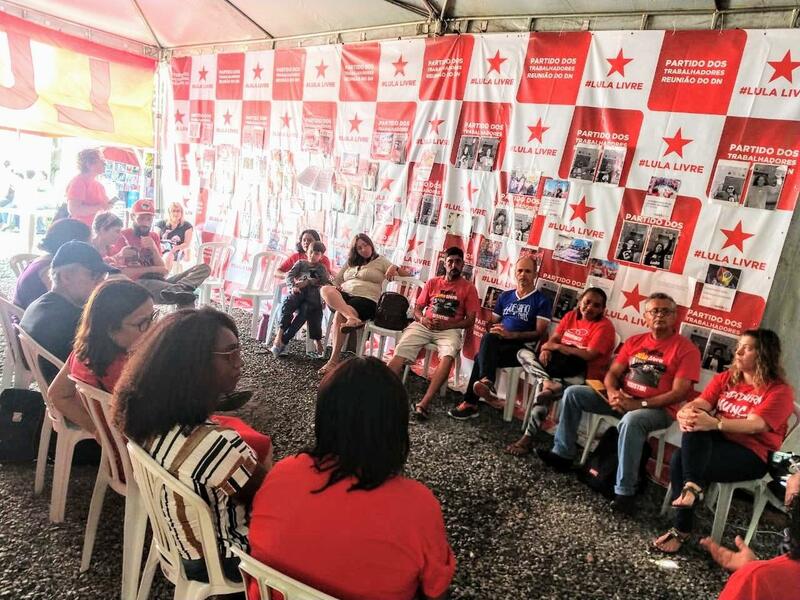 Participate in solidarity actions with the working class in Brazil and with Lula abroad, together with the International Trade Union Confederation, the Trade Union Confederation of the Americas, Global Unions Federations, and national trade union centers, and other allies. To call upon the ILO and UN to closely monitor the situation of trade union and human rights. 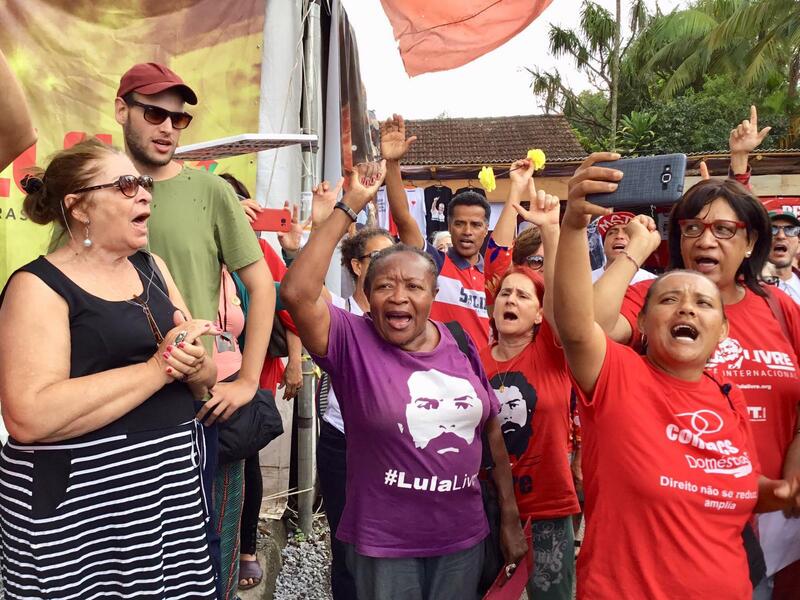 Reaffirming our commitment to solidarity with your struggle, the struggle of the Brazilian people, and particularly with our domestic workers comrades, we send this message of strength and solidarity to remind you that neither you nor the working people of Brazil are alone. Lula Livre! Lula Livre! Lula Livre!